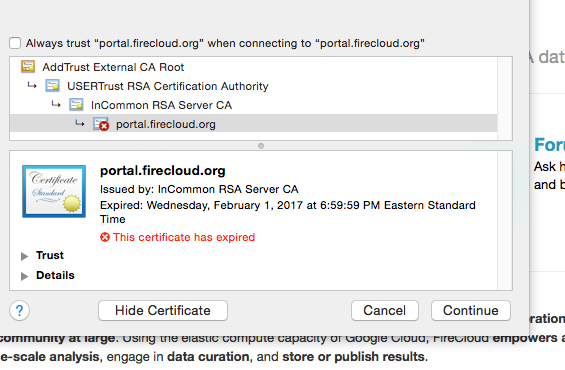 When you go to portal.firecloud.org, the browser reports it is unable to validate the certificate. Chrome reports the connection is not private, Safari reports it cannot verify the identify of the website portal.firecloud.org. I've attached two screen shots. 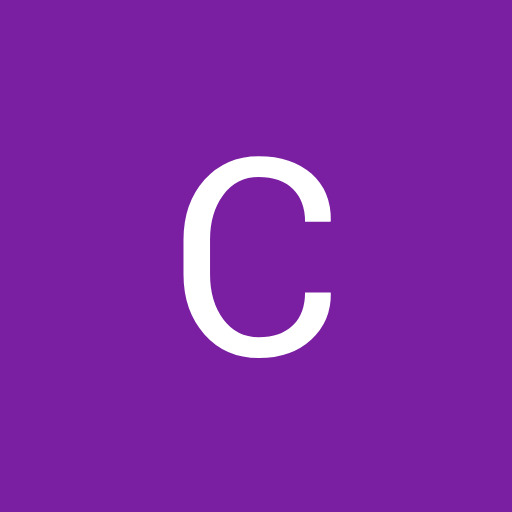 Safari indicates the reason for it is that the certificate has expired. Thanks Chet, we're aware of this. Please see the service notice at the top of the forum pages. We've requested a new certificate and expect this will be resolved soon. Just saw the service note. What is the ETA for this? Members of my lab are asking me when it will be up. The NCI Credits went live yesterday so many people are trying to access. Can you give an update? It's in the hands of BITS; we have told them it's urgent. We have the new certificates and are installing them now. Access should be restored shortly. John Ottridge, from NCI (leading one of the Cloud Pilot evaluation teams) has suggested that the service disruption notice on the forum also be displayed on the login page. FYI access has been restored -- the notice will be updated soon. Yes, there are some obvious improvements to be made in terms of notifications to users of the system. We're going to address this in the near future.